As a writer, I’m very interested in practical and useful perspectives on the merger of technology, society and business. With the conviction that technology is probably the strongest driver of change today, it’s obvious that anyone in a management position, or aspirations to eventually be in that position, must understand how technology is changing business and society from the ground up. My latest (and ongoing) writing project revolves around artificial intelligence and the goal is to create a highly visual playbook (or two) on the real effects that AI will have for business and society, i e to see the impact beyond the hype. These have all been carefully selected to lead the reader on a journey to achieve professional and personal success. Read one insight a day as a daily source of inspiration, or read them all in one sitting to open your mind to new solutions, thoughts and ideas. This book offers a new perspective on the next technological paradigm, a clear view of the megatrends that are shaping our future and a complete toolbox on how to handle the upcoming technological revolution from a strategic perspective. 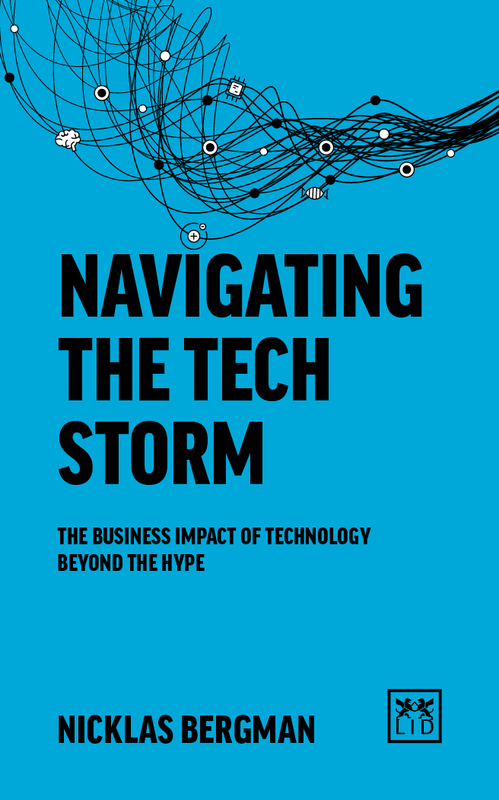 With a step-by-step approach to the analysis of emerging technologies, assessing their business implications and adapting to a new, uncertain environment. In addition, there are unique insights into the works of leaders from the Swedish tabloid Expressen, furniture giant IKEA, music unicorn Spotify and computational powerhouse Wolfram Research. The historic ties between the Nordic countries and the United States are important underpinnings to their achievements. But then: There is no country big enough to face the global challenges alone, and there are no countries too small not to be able to make a difference. In a totally interconnected world inspiration can and should come from everywhere and anywhere.